I am a little like Goldilocks when it comes to sleeping – the temperature has to be just right – not too hot and not too cold. Easy to say but quite difficult to achieve particularly when you throw in a teeny, weeny tent, a large tent companion (that would be Tim) and external temperatures that vary from one night to the next. Whenever I talk about getting just the right amount of warmth for a good night’s sleep, I am reminded of a time when I was travelling with a friend who didn’t have a warm sleeping bag for a cold night. Being the sort of person I am, I offered my bag for the night and snuggled into a collection of quilts and blankets (we were travelling by car so weight and bulk weren’t issues). As we started to settle in for the night I inquired about my friend’s wellbeing and I received the response ‘I’m as warm as toast’. Sadly, I wasn’t and for the rest of the night those five words repeated over and over in my head while I froze for the whole night! It is always good to help out a friend but I needed to find a different way of helping that had less of an impact on me. And that story is probably why I didn’t compromise over my next sleeping bag purchase. 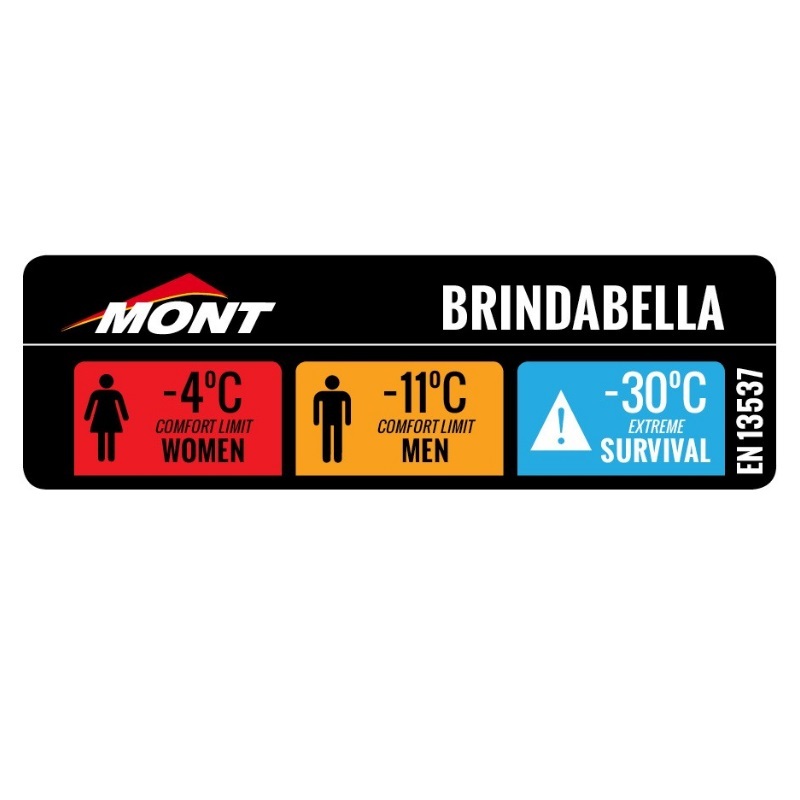 The Mont Brindabella sleeping bag is the warmest, comfiest and coziest sleeping bag I have used. Getting warm on zero temperature nights is not the challenge, ensuring you don’t overheat is now my focus! To help you get the right balance the Brindabella has easy zipping, baffles, a contoured hood and even foot venting. 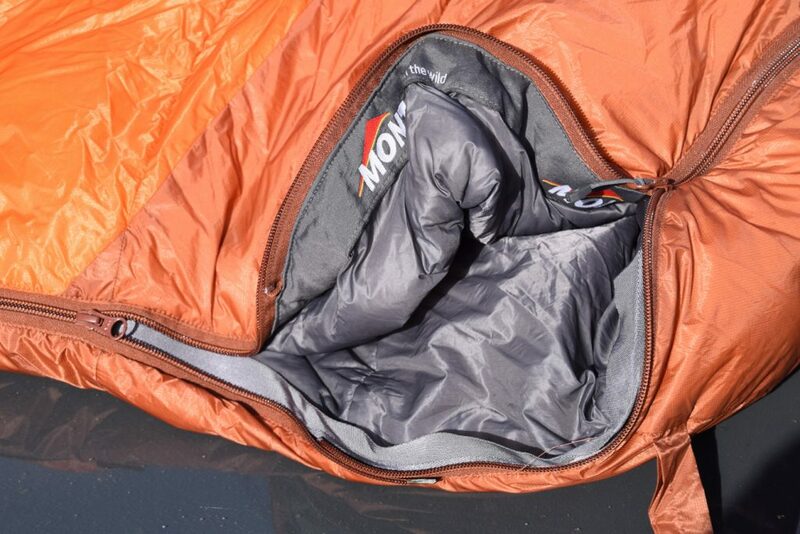 At 1160 grams this isn’t an ultra lightweight sleeping bag but the weight is a compromise to the level of warmth. Once out of its compression sack, it does have the potential to fill the tent so it’s wise to warn any sleeping companions. For me this is justifiable as it allows me to regain some tent territory from Tim. The down in the Brindabella has been treated with a durable water repellent polymer that protects it from moisture while also improving the loft. The outer shell is made from lightweight, highly water resistant and breathable Hydronaute XT. 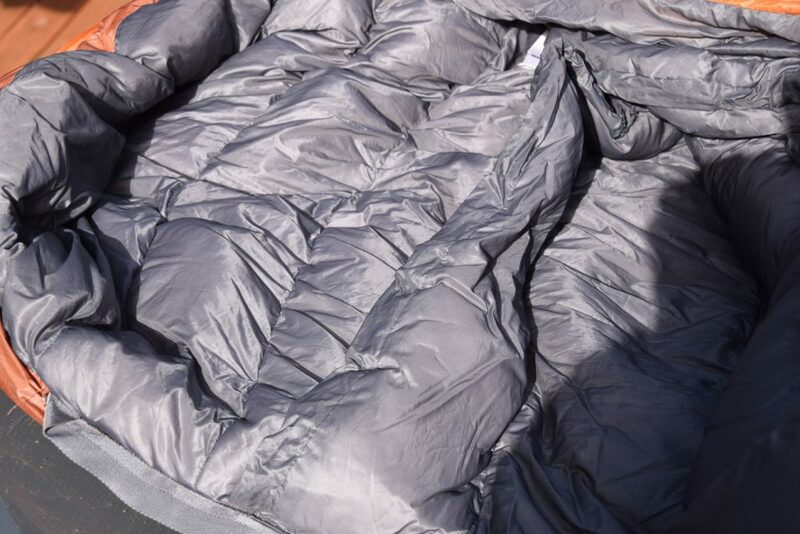 This sleeping bag compresses down to about 27 centimetres in height and a diameter of about 19 centimetres. The Brindabella is suitable for people up to 185 centimetres and comes in a right or left hand side opening. There is also an extra-large version for people up to 200 centimetres in height which weighs 1260 grams. I sleep on the left hand side of the tent with Tim on the right, so my Brindabella has the zip on the right hand side so that the opening is in the middle of the tent – I find this reduces the potential of cold entering from the side of the tent. 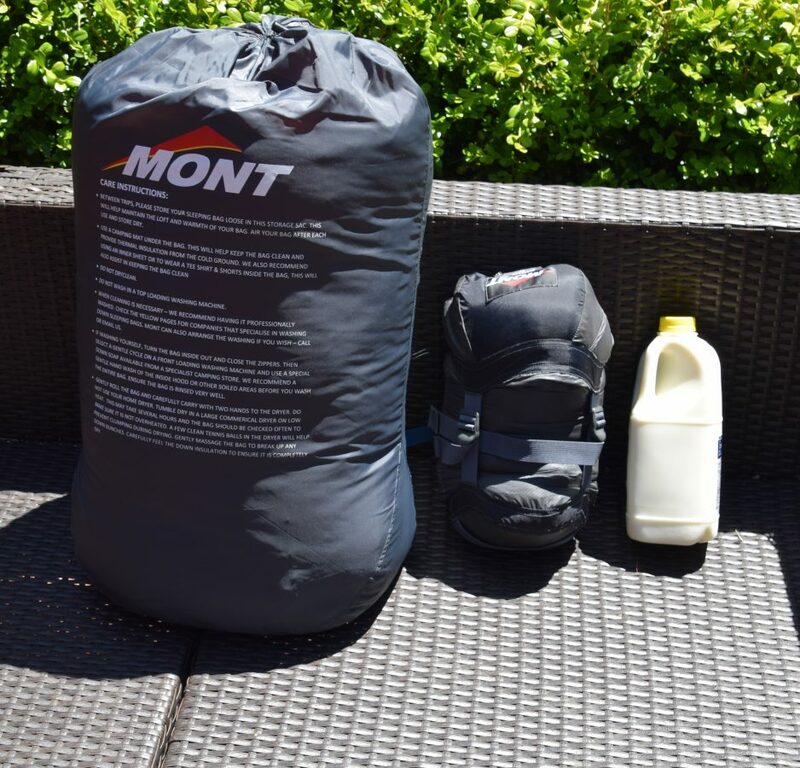 The Mont tents can be zipped together but you’ll need to think through the impact of different size bags and different warmth needs – I get cold and Tim generally doesn’t. When hiking the Larapinta Trail my Brindabella was covered in a thick layer of fine silt from several nighttime dust storms. I was very concerned about whether I would be able to remove the dust once we had returned home. However, a few shakes and a sunny day on the clothes line were all that was needed. The Brindabella is a significant investment and is well worth every cent. 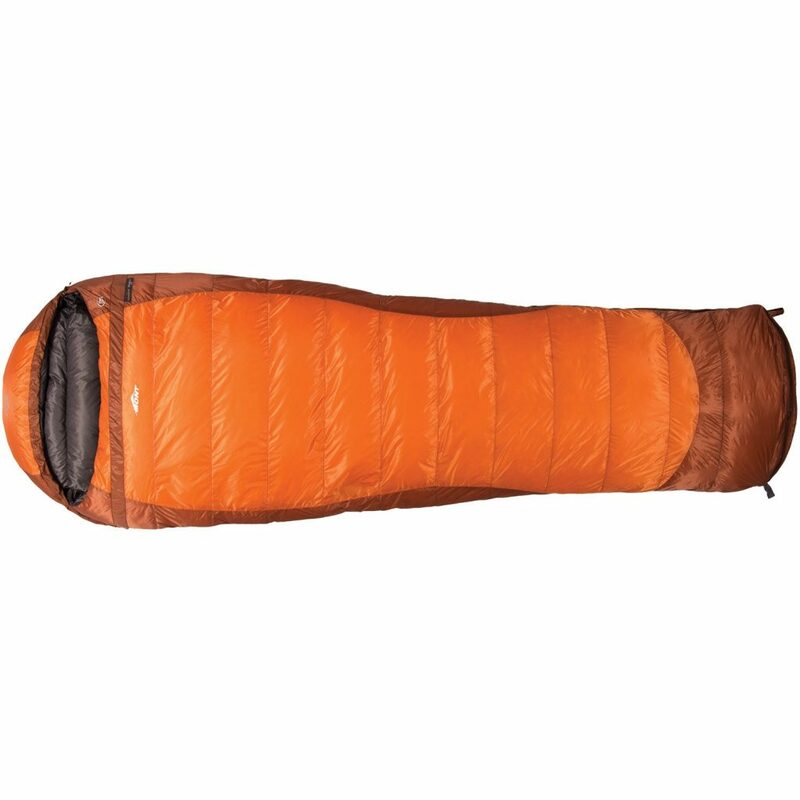 From the fussy perspective of Goldilocks, this is a great sleeping bag that will keep you warm for many years of cold climate and variable temperature hiking.